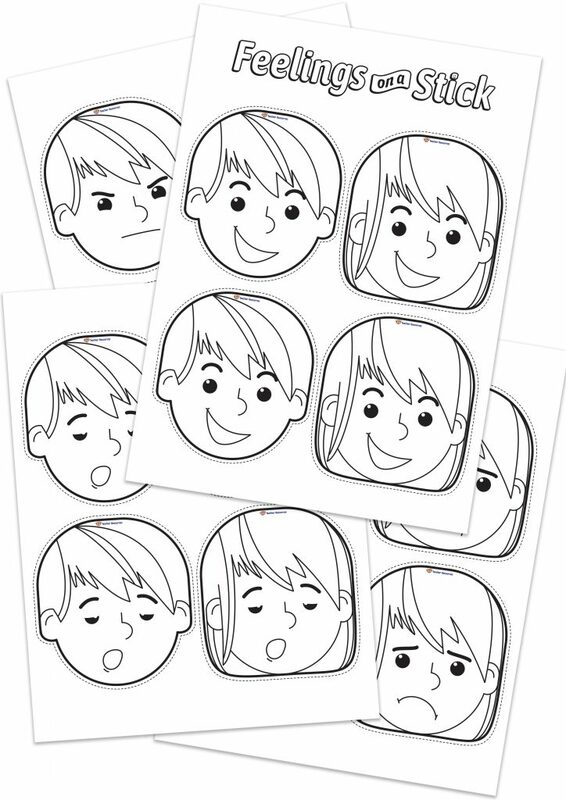 Six common feelings and emotions expressed on boy and girl face templates, to use when learning about communicating and managing emotions. Ideal to use in the classroom when learning about different emotions and feelings. This teaching resource encourages children to identify different emotions and to share with others how they are feeling. This resource includes the emotions: happy, sad, confused, angry, tired and surprised. A blank template has been included so that children can explore additional emotions that they may experience. Print multiple copies of the face templates. Ask the children to colour them in. Laminate and cut the face templates. Attach the face templates to a popsicle stick or wooden craft stick. Discuss the different feelings and emotions expressed on the faces. Encourage the children to use the Feelings on a Stick to communicate how they are feeling.